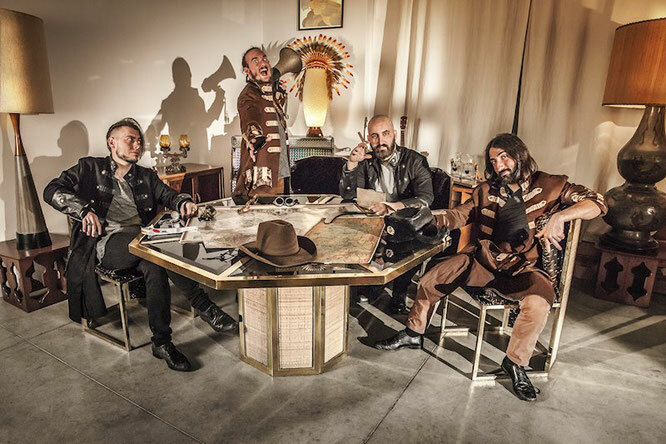 ‘Tales Of A Pathfinder’ is the second full length album of the Italian Epic-Pagan Metal band Atlas Pain. After the stunning acceptance from both critics and fans of the previous ‘What The Oak Left’, the band is now ready to push you into a wonderful unique experience. As the result of efforts lasted two years, the concept around ‘Tales Of A Pathfinder’ finds its foundation on an epic steampunk fairy tale, as the listener will be driven into a journey at the end of the world, making him discover unknown lands and hidden cultures. Each song, starting from ‘The Coldest Year’, the glorious announcement, is a specific stop that leads us to discover ancient tales and different cultures, making us appreciate all the different people around the planet. The journey finds its end with the disclosure of a brand new world, full of rising hopes, in a reality oppressed by machines and steam for a long time. Since I reviewed ‘’What The Oak Left’’, Atlas Pain left me craving for more. Until this day, it is still one of the records I listen to mostly on a daily basis. I couldn’t wait for the release of ‘’Tales Of A Pathfinder’’! We start of with ‘’The Coldest YEar’’ which already makes the album pretty cinematic right away. I like the spoken part a lot, it promises a great story ahead of us. 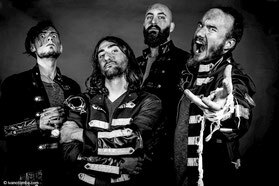 ‘’The Moving Empire’’ is classic Atlas Pain, folk metal mixed with death metal vocals, with just a hint of symphonic in the mix. ‘’Hagakure’s Way’’ is just as epic, and I wouldn’t expect anything else. ‘’Ódauðlegur’’ has a lot of Scandinavian influences, which is always a homerun in my case. It is very impressive that, while Atlas Pain is Italian, they have managed to perfectly mimic that sound without overdoing it. ‘’The Great Run’’ seems to be less heavy than all previous tracks (not including ‘’The Coldest Year’’) and the spoken part makes a comeback again. The end of the song is a bit hilarious with the electronic bit around three minutes in. It takes off the pressure of the album being perfect and adds a bit of humor to it. ‘’Kia Kaha’’ reminds me a lot of Nightwish’s ‘’The Greatest Show On Earth’’. This probably because of the cinematic animal sounds. Honestly up till 3:00 it actually could have been Nightwish, it sounds THAT familiar. However I think this is just a coïncidence, because similarities are bound to happen someday. ‘’Kia Kaha’’ is a very good track and I keep coming back to it. ‘’Baba Jaga’’ is also genius, and includes another part of spoken word. I like that they included these parts, they way they did it does not take away from the actual songs. ‘’Shahrazād’’ I can’t describe any other way than simply epic. I like the intro and outro as well, since they are nearly the same they make the song full circle. ‘’Homeland’’ is the longest track on the album with it’s impressive eleven minutes. I love the piano parts in it, but the song is just a tab bit too long or my likings. ‘’The First Sight Of A Blind Man’’ is a nice instrumental outro track, it makes me feel sad that the album is over already. 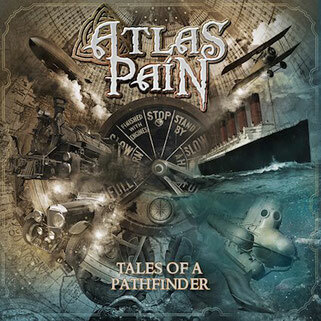 Atlas Pain does not try to sell you an album, they are selling you a story, a journey if you will. In approximately 55 minutes they absorb you into the music, into their world and still leave you wanting more. ‘’Tales Of A Pathfinder’’ is absolutely flawless.